We Love Lawyers – Attorneys who represent individuals are the primary counterbalance to corporate greed, the widespread abuse of police and political power and the abusive Insurance industry. We are honored to play a small role in this system. 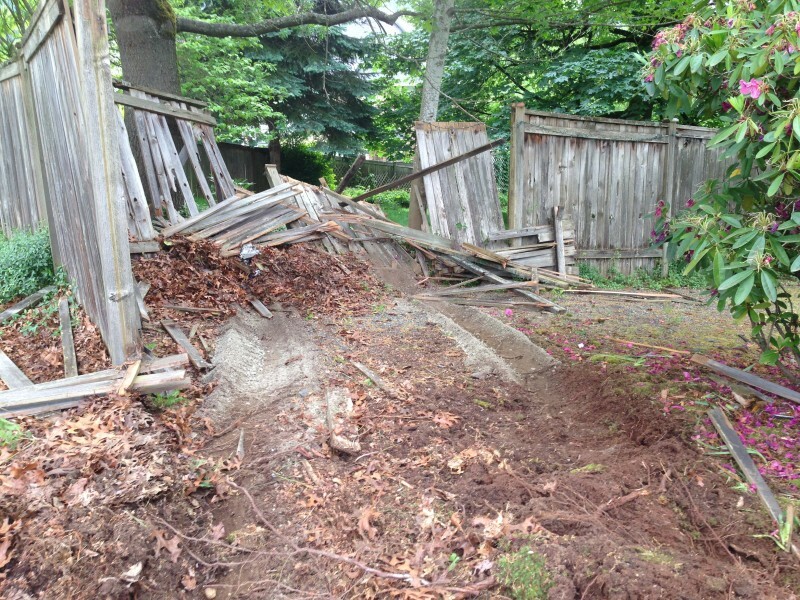 Now, back to State Farm and our little fence problem . . .
Two weeks have gone by – I’ve called state farm once, twice, three times a day during the interim. I’ve spent roughly four hours on hold and been transferred between departments and managers. I’ve been hung up on. I’ve left innumerable identical messages. I’ve been polite. I’ve been a jerk. I’ve been patient and I’ve been irate. And yet – the fence looks just like it that first day. I’m still waiting on State Farm to take step 1A. So, I decided to create a billboard for State Farm. They do lots of advertising, so why not inject a little truth into their advertising . . . In all fairness, I “may” have casually arranged some Lexus parts carefully on top of the fence for dramatic effect. 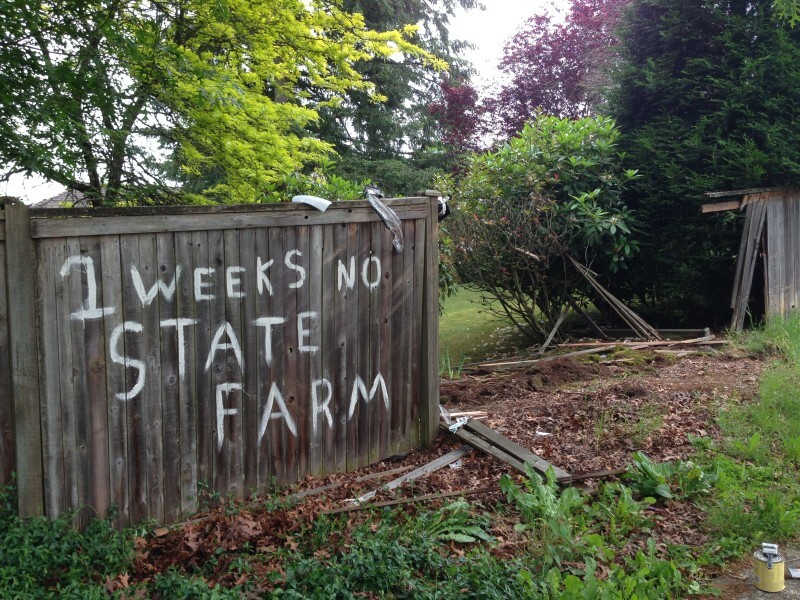 Unfortunately the remaining fence wasn’t big enough for my new tagline: “Like a Good Neighbor, State Farm is . . . .Where?